Fossil Springs. Photo by Jason Williams. Read the joint comments of Sierra Club and Arizona Wilderness Coalition here. 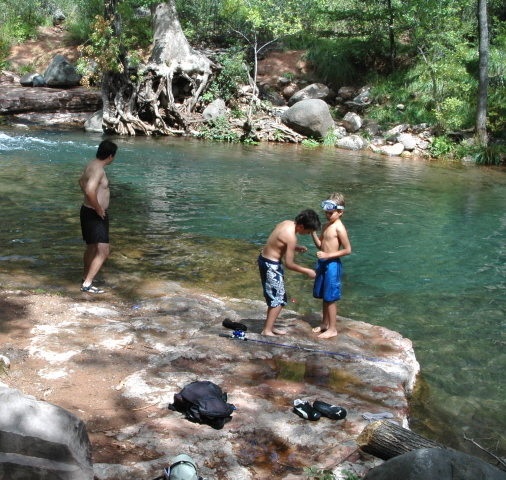 Fossil Creek is a special place in Arizona, a restoration success story, and a treasure of the Mogollon Rim. 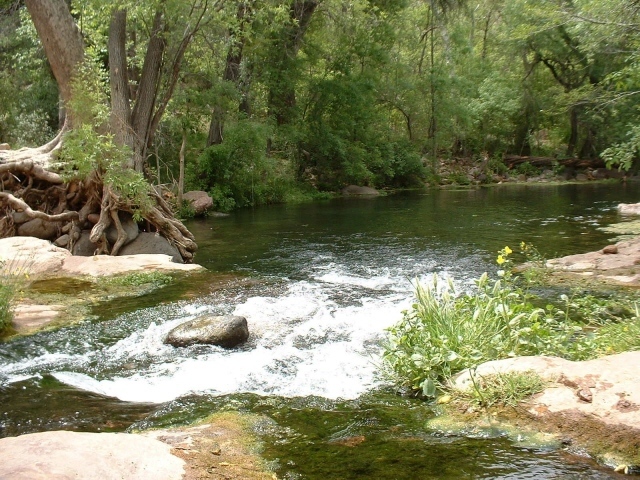 Near Camp Verde, Arizona, Fossil Creek traverses two wilderness areas – the Fossil Spring and Mazatzal Wilderness areas – and spans both the Coconino and Tonto National Forests. The river is home to rare and protected plants and animals, including Common black hawks, otter, and beaver. It is nationally recognized as a designated Wild and Scenic River and has a significance beyond the presence of life-sustaining water. 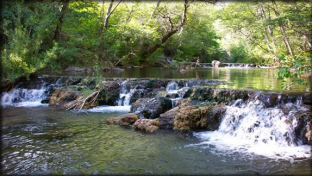 Fossil Creek has hundreds of pools, hot springs, and waterfalls made of light colored rock, called travertine, deposited by its calcium carbonate-rich mineral water. The river is one of the largest stone travertine systems on the continent. It is also one of Arizona's few rivers with completely native fish, and the site of the first decommissioned dam in Arizona. 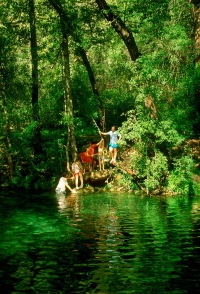 Fossil Creek became well known to recreationists after its publicity as one of the largest successful efforts in the West to restore a stream to native aquatic species. In her book Mythical River, Melissa Sevigny writes that "Arizonans saved Fossil Creek from exploitation only to lose it to love. [...] Humans now leave an imprint far beyond the places we can reach by car or foot. Yet Fossil Creek gave me hope that we could learn, against all odds, how to make that imprint a beautiful one." Increasing visitor demand (which could potentially reach 1700 people a day), and damage in the form of human trash and sewage, threatens the balance of preserving Wild and Scenic qualities at Fossil Creek now and in the future. The Forest Service is addressing this issue with several proposed alternatives to regulate and further develop recreation at Fossil Creek. Watch for future opportunties to comment. 1. Fossil Creek is a uniquely special river in Arizona. 2. Wild and Scenic designation mandates preservation of the river’s “Outstandingly Remarkable Values,” water quality and free-flowing nature. 4. The unique and special values of this river call for greater preservation efforts as reflected in Alternatives C (Non-motorized Experience) and B (Enhanced Protections). The proposed expansion of motorized use and recreation access, as reflected in the Alternative E (Proposed Action – Long-term Adaptive Management) is not in the best interest of this river, and threatens the values for which this was designated a Wild and Scenic River. 5. And add your personal experience – if you have enjoyed Fossil Creek, describe your great experience, and ask that the incredible values of this river be preserved and not degraded. Thank you for your support of our wild lands and waters in Arizona.